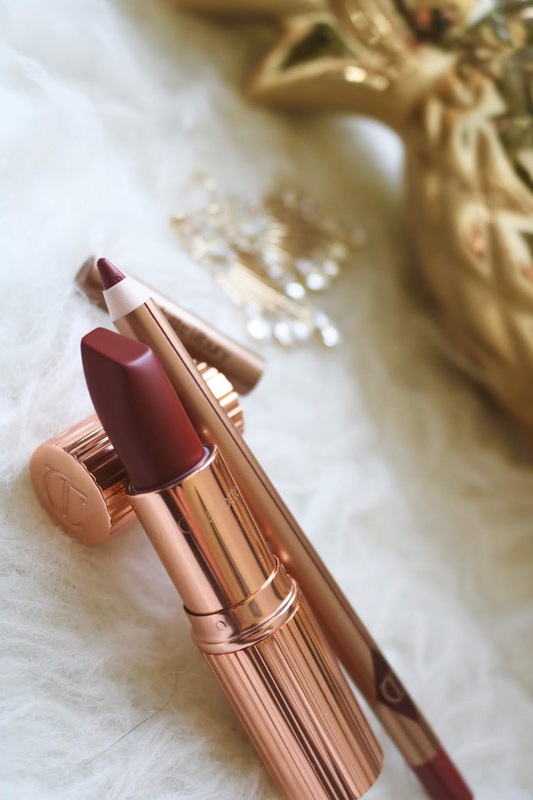 This is the Charlotte Tilbury Matte Revolution Lipstick in the color "Legendary Queen" ($34). 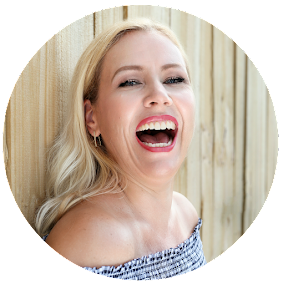 You can describe the color as a soft neutral wine color- it feels very festive and holiday appropriate - yet it is a subtle red that does not "scream in your face". If you always wanted to try a red, but are not quite ready to wear a true red- this is a great elegant starter! I know, the word "matte" scares you - it sounds like it might settle in all those lip lines and feel dry! But it doesn´t! Oh surprise! This matte lipstick feels creamy and buttery- not drying at all, while providing gorgeous color with just one swipe. 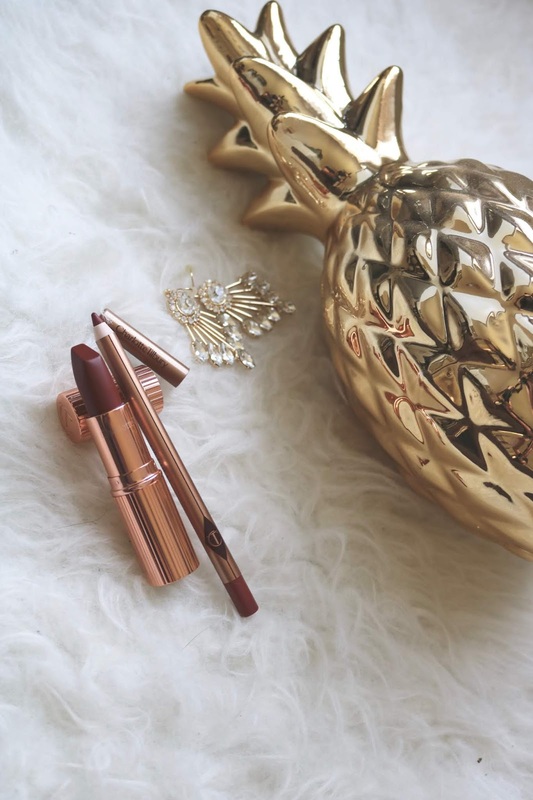 The shape of the lipstick itself is something to brag about: never has it been easier to put that lipstick on- the tip is simply genius to work with! And the packaging? Do I even have to say more? The pictures tell it all: this is elegance pure and all I can think of is Old Hollywood Glam! And you know I love the old Hollywood, right? (if not check it out here). 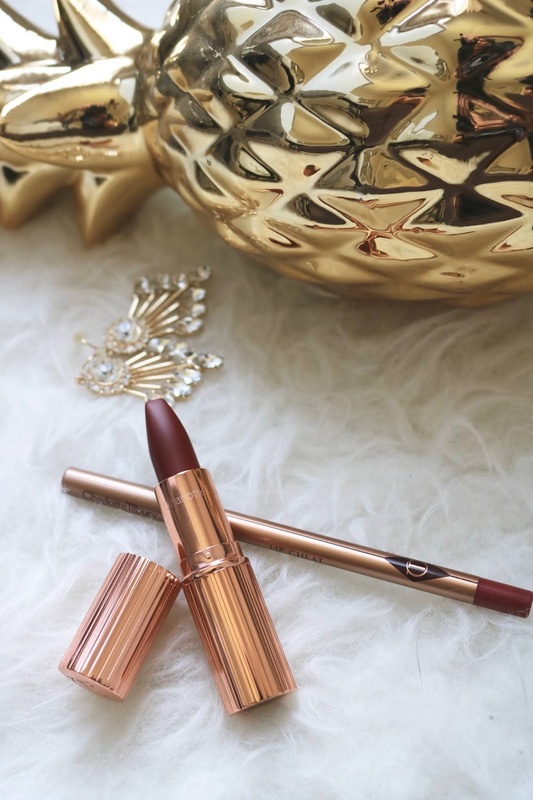 Charlotte Tilbury has of course a perfect lip liner match: It is the Lip Cheat in "Walk of Shame" ($22). Funny story: I just googled the meaning of "Walk of Shame"- it is "an instance of walking back home on the day after an unplanned casual sexual encounter, typically dressed in the same clothes as the previous evening.". Hahahaha! Strange name for this lip liner, but no you don´t have to be ashamed to wear it! ;-) And yes, the lip liner is just as creamy as the lipstick! 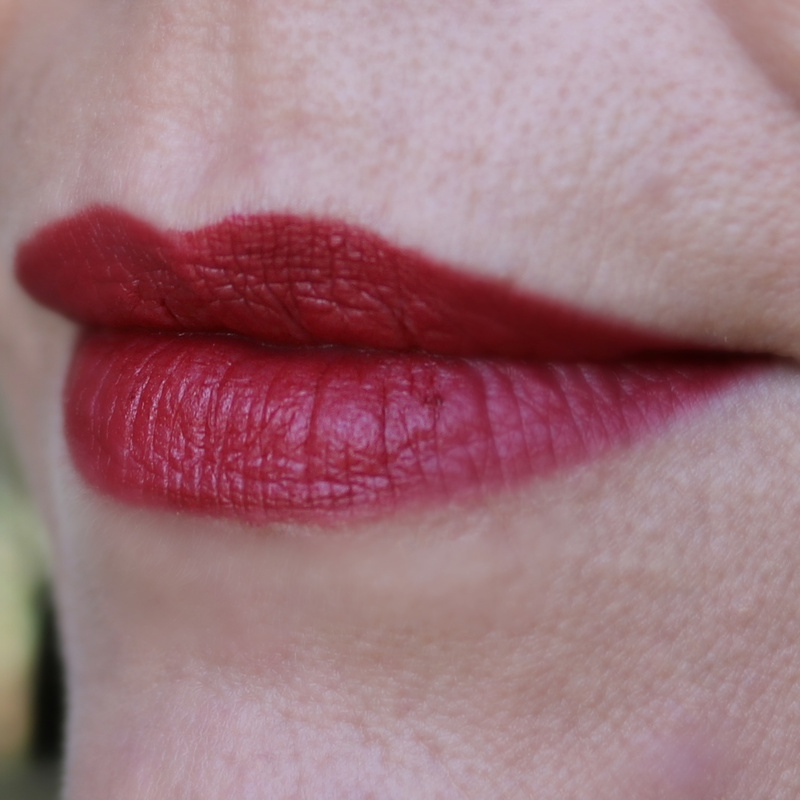 Now tell me- how gorgeous is this red shade? 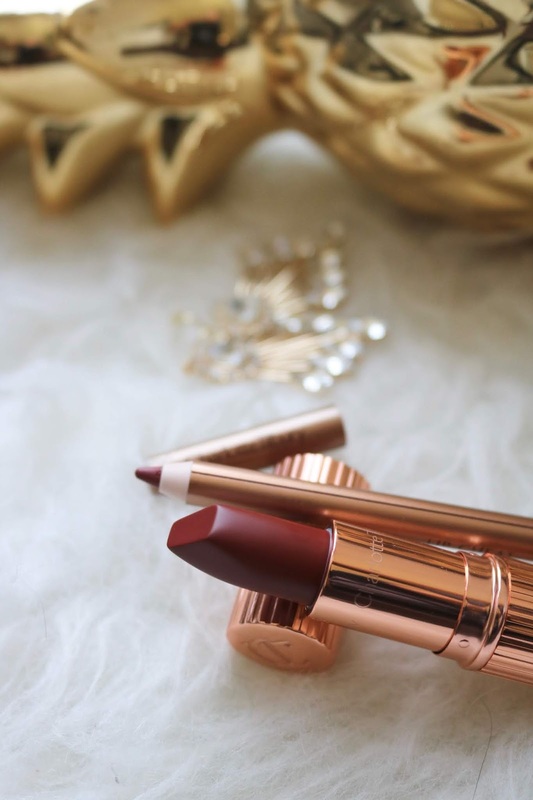 Disclaimer: I received the products compliments of Charlotte Tilbury as part of the #PreenMeVIP program. Regardless, I only recommend products or services I use personally and believe will be good for my readers. Contains Affiliate links. Read my full disclosure.